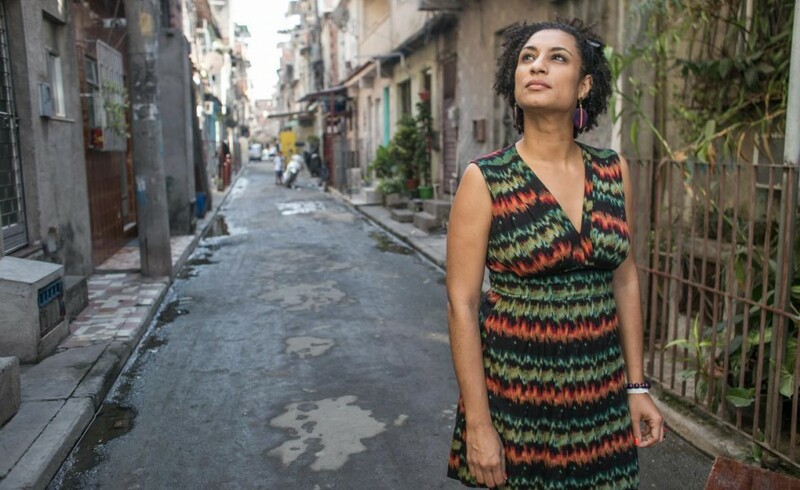 The Women Human Rights Defenders International Coalition (WHRDIC) condemns the killing of women human rights defender Marielle Franco by unknown assailants the night of March 14 while in her car in the Estácio neighborhood in Rio de Janeiro, Brazil. Her driver was also killed in the attack and a press officer accompanying her survived. Marielle Franco was a black feminist, lesbian, mother and woman human rights defender that fought for the rights of black women, people living in the “favelas” (slums) and was vocal against violence police and militarization in Rio de Janeiro. She herself grew up in the “favela” Maré in northern Rio. Since 2016 she was also elected as member of the City Council and two weeks ago she had been appointed rapporteur in the special commission established by the city council to monitor the military intervention in the city of Rio de Janeiro. The night of her killing Marielle’s attended a young black feminists event where she had been tweeting messages about creating more structural opportunities for black women. Days before her killing she denounced police officers violence against favela residents and spoke against President Temer’s decision to send military troops to Rio to contain escalating levels of violence in the City. We note with grave concern the increasing violence and repressive context in which the defence of human rights is exercised in Brazil and where political dissent and denouncing human rights abuses and violations becomes a high risk activity in itself, putting in danger the lives of women human rights defenders. We, members of the WHRDIC want to express our solidarity to Marielle’s family and colleagues and to all women human rights defenders in the country who are grieving today the loss of a prominent and one of the voices against authoritarism and violence in the Country. Respect and protect human rights defenders and ensure they are able to conduct their legitimate work without fear of physical and psychological violence throughout Brazil.